This fold over elastic is shiny on one side and matt on the other and has a centre fold. Its perfect for binding and elasticising pockets, leg openings on dancewear, cloth nappy covers, lingerie and hair accessories. 91% Nylon, 9% Spandex. Washable at 40 degrees. I use this stuff all the time and this one from Minerva is very good quality with lots of lovely colours. 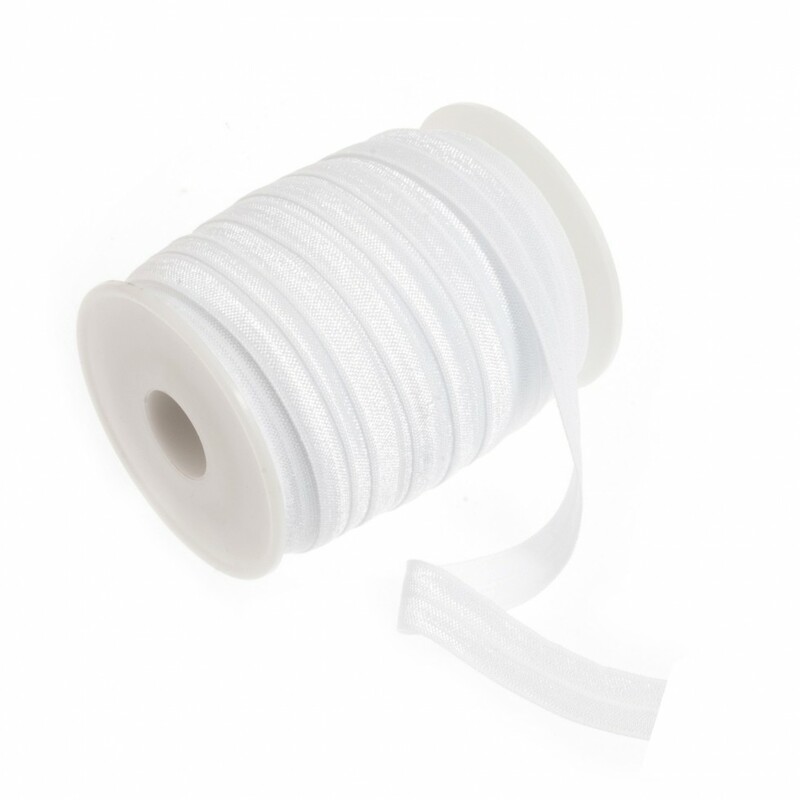 Perfect for binding on stretchy fabrics.